(New York, NY) – Facebook Chief Operating Officer (COO) Sheryl Sandberg testified before the U.S. Senate Select Committee on Intelligence yesterday and as expected, her testimony was filled with familiar refrains, PR-laden apologies, proclamations of supposed successes and promises to do more. 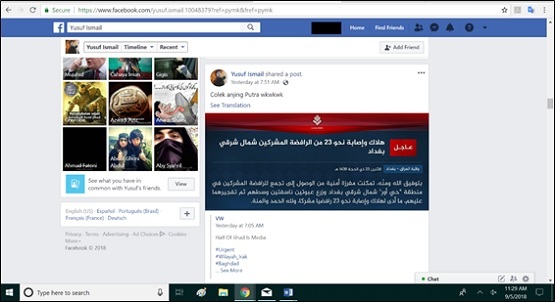 When ISIS, al-Qaeda and other extremist groups have continually misused and abused Facebook to spread their propaganda and incite violence, thereby clearly violating the company’s terms of services, phrases such as “we’ll get back to you” and “that’s on us” are unacceptable. To read more about this issue and see the aforementioned examples, as well as other examples of extremist content, please see the background below. Description: A segment from the ISIS video “You Are Not Held Responsible Except for Yourself,” originally released on June 19, 2016. This approximately one-minute long segment specifically encourages a suicide bombing in New York’s Times Square, a crowded public location, and praises Omar Mateen, the Pulse nightclub shooter. 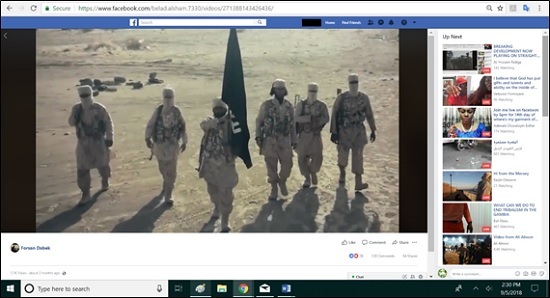 Description: A video containing footage from multiple official ISIS video releases accompanying a nasheed. Clips from approximately a dozen ISIS videos show ambushes, combat training and celebrations. 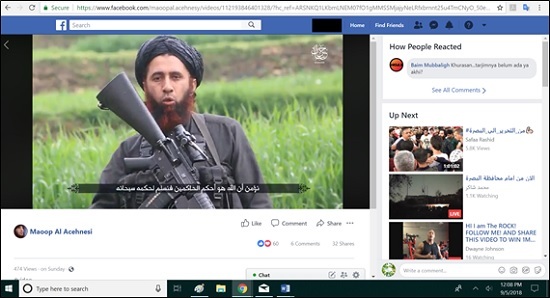 Description: The ISIS video “Answering the Call 2,” from the group’s Afghan affiliate, originally released on August 11, 2018. 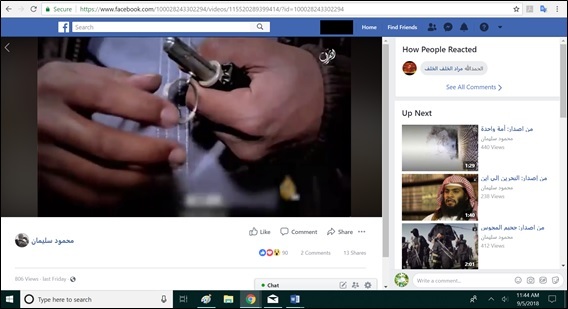 The video includes scenes of children in ISIS schools, combat, and features statements by wounded and blinded ISIS fighters. One corpse is shown in the video. 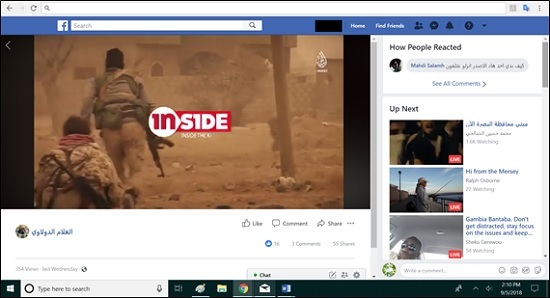 Description: A Facebook account that has been sharing ISIS Amaq News updates, and links to pro-ISIS radio broadcasts.